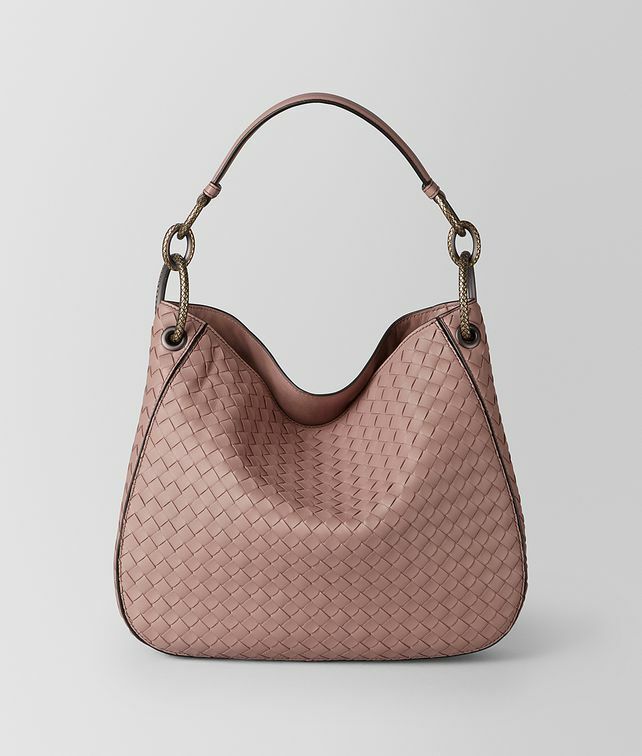 Small and stylish, this tote is crafted from intrecciato nappa and features a rounded, relaxed shape. The oversized metal loops in dark-gold finish are engraved to mirror the intrecciato. The style is slouchy at the top, unfastened and lined in plush suede, with two flat pockets and a zip pocket.